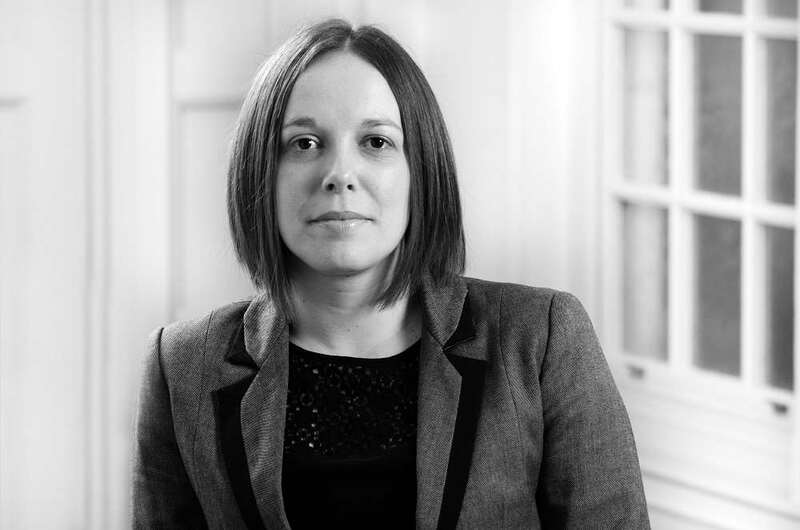 Louise Ward, Investor Relations Director at renewable energy investment company, Low Carbon shares her thoughts on why the finance community should aim for more responsible investments in order to create a low carbon future, and for impressive returns. As the increasingly popular divestment ‘movement’ continues to gather pace, as well as global attention, investors today need to both look ahead for opportunities for growth, and anticipate the solid returns that come from divesting stocks and equity from the fossil fuel industry and reinvesting into climate solutions such as solar PV and onshore wind. This is even more poignant following the deal made at the Paris Climate Conference (COP21) in December last year, which commits governments to holding the increase in the global average temperature to well below 2 degrees above pre-industrial levels and pursuing efforts to limit the temperature increase to 1.5 degrees above pre-industrial-levels. A flick through the papers will clearly tell you that divestment is a hot topic that is generating widespread, global, attention. Furthermore, the movement has public backing from high-profile and high net-worth individuals, institutions and political entities such as universities, the Norwegian government and The Rockefeller Foundation. Such an overwhelming level of endorsement and positivity around divestment is hard to ignore, and should not be underestimated as a viable and effective weapon in the global fight against climate change. This is not just a case of ‘tree-hugging’ – divesting and reinvesting into climate change solutions can also bring with it tangible financial returns.The government and the energy and investment industries need to do more to educate institutional investors as to the substantial and low-risk returns that can be achieved from climate solution projects such as solar photovoltaic (PV) and onshore wind. 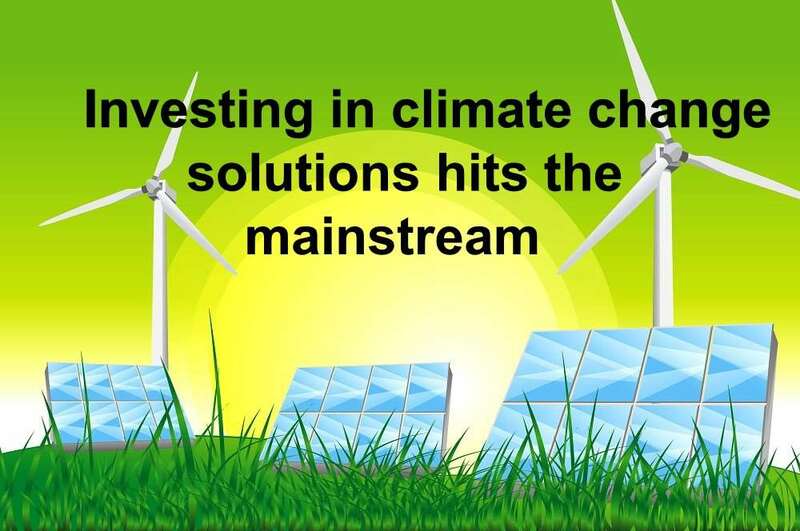 Overall, this is a question of raising awareness around these alternative investments,which can both improve the UK’s energy mix as a whole and significantly reduce carbon emissions. If we want to move to a low-carbon economy, it’s evident that we need to invest more heavily into low-carbon assets. There’s no two ways about it – renewable energy technologies have a strong proven track record that’s crucial to delivering impressive returns and high levels of confidence for the savvy investor. For instance, solar PV panels have been actively generating electricity for at least twenty years, and the scale of solar PV projects and investment in them has increased dramatically during that time – most notably in the past three years where capacity has more than tripled[i]. The result of this increase in confidence can be seen through steps that corporate giants such as Apple and Facebook have taken recently, pledging that they will be investing in solar PV to power their data centres and offices. Onshore wind power is another example of a renewable energy technology in its twentieth year, was described by the Department of Energy and Climate Change (DECC) as ‘the leading individual technology for the generation of electricity from renewable sources during 2014’. [ii] The myth that climate solution technology is too ‘new’ or ‘unproven’ is just that- a myth- and the statistics are there for all to see. Over the last few months, we have been seeing a dramatic drop in the price of oil, which has only highlighted its volatility. Climate solutions, on the other hand present a strong contrast to this predicament, as they are not volatile to the same extent and their marginal cost of energy production is zero. No other power generation plant (oil or gas) can say the same. And even if investors don’t actually believe in climate change, these investments in climate solutions stand up on their own financially. They are generally long-term, inflation-linked contracts which generate attractive and solid returns. The majority of climate solution projects are, essentially, infrastructure projects. In fact, the words ‘green’ or ‘renewable’ don’t often have to be mentioned at all, which can be the difference in convincing reluctant investors of their viability as reliable investments. In truth, 40% of electricity demand has been met by renewable energy generation in recent years[iii], which indicate that these technologies are a core, resilient electricity source that are here for the long-term. A recent report – “Investing in a time of Climate Change” –which was commissioned by global investment consultancy firm, Mercer, states that we need institutional investors to take the on role of a ‘climate aware future makers’. This group consists of pioneering investors who understand how climate change is going to affect our world, and who can lead the way in showing more risk-averse investors on how to invest in climate solutions. Future makers realise that our FTSE 100 will not always be dominated by fossil fuel giants such as BP and Shell, and that renewable energy companies will soon make their way into the mainstream market, and stay there. Lastly, a climate aware future maker will seek toapply the use of their personal, individual investments to his/her business life as well. They will see that if they are making such impressive returns from the solar PV installed on their household roof, for example, then there is a huge potential to make money from investing in solar PV projects at scale, in the business world. A big drawback is that there is currently no legislation here in the UK that is actually motivating investors into investing in climate solutions. In neighbouring France, however, things are changing. The French government is now calling on institutional investors to both disclose and measure the carbon intensity of their investment portfolio, and similar measures are also being taken informally in parts of Scandinavia. I hope to see this call to action and level of engagement imitated by governments in the UK throughout the whole of Europe. If this happens, it will ultimately create a more mainstream and positive climate solution investment environment for future generations, and will assist in initiating more climate aware future makers for the task ahead. It’s clear that divesting from fossil fuels and reinvesting into climate solutions has its obvious benefits, as ultimately this can help combat the negative effects of climate change whilst generating attractive, stable returns for the most innovative and forward-thinking of institutional investors. These technologies are not a ‘gimmick’ that will pass. Investing in climate solutions presents strong growth opportunities for both now and for future generations. We have some of the sharpest financial brains in the world, right here in the UK, so no ‘problem’ is too large, or should be overlooked because it’s not the status quo. Additionally, global governments have promised to take action following the negotiations at COP21, and so the UK cannot and should not be seen to fall behind on this, but should lead the way for the entire world.Ultimately, we hope to see more investors and financial institutions leading the way in educating the industry on the true benefits of climate solution investment, in the dawn of the era of divestment.